What is SIP and its benefits? SIP stands for Systematic Investment plan, and it is a way to invest a fixed amount regularly in mutual fund schemes. SIP stands for Systematic Investment plan, and it is a way to invest a fixed amount regularly in mutual fund schemes. It is similar to a Recurring Deposit (RD) in a bank. In SIP, an investor selects a period (1 year, 3 years or even perpetuity), intervals (weekly, monthly, quarterly etc.) and amount. The amount will auto-debit from the investor’s bank account after every interval for a selected period. 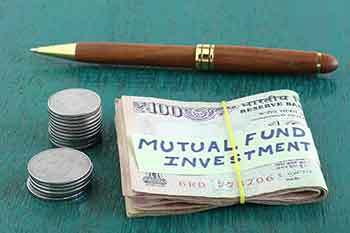 As retail investors’ participation has been increasing in mutual funds, SIP is also gaining popularity amongst them. But still, most of the retail investors are still unaware/unclear about Systematic Investment Plan (SIP). So, below we have explained the benefits of SIP. This is the primary benefit of investing in mutual funds via SIPs. Rupee cost averaging is a phenomenon in which an investor continues to invest a particular amount at fixed intervals regardless of the share price/NAV. An investor receives more units when the NAV of a mutual fund scheme decline and fewer units when NAV of the scheme rises. Therefore, over a long period of time, the cost of units to investors will be significantly lower despite volatility. By committing to invest a particular amount at a fixed interval for a particular period of time, investors instill discipline in their character, which is essential for building wealth in long term. Investors can decide the amount, period and interval of SIP as per their convenience. Besides, they can increase, decrease or stop the SIP in a mutual fund anytime.